Before the industrial revolution began the manufacturing of products were done at home or in small workshops. 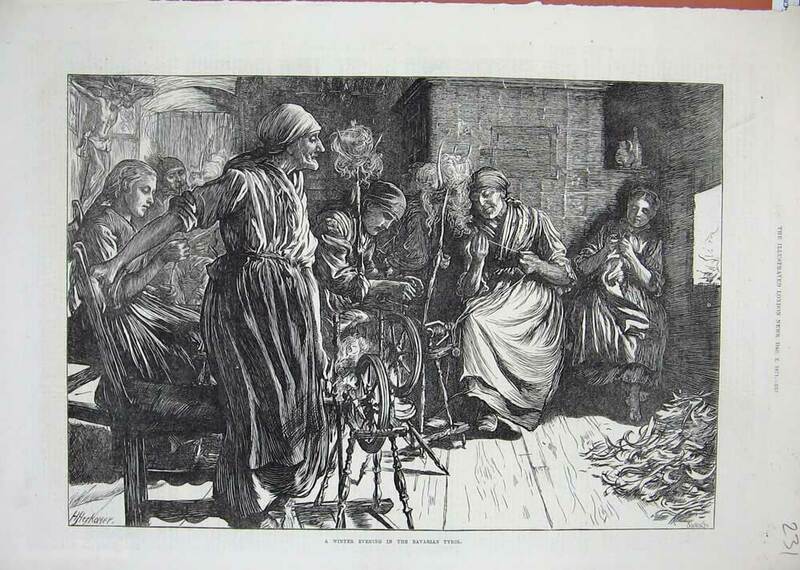 All types of goods were made by hand including nails, lace, stockings, shoes and textiles. The name derived for this and commonly used today by historians is the Domestic system. This was extremely popular in Yorkshire where woollen cloth was commonly made. Those who were requiring the cloth would buy the raw wool product and take it to a number of outworkers to make cloth. The family would work together side by side typically in the same room. There were three main stages to making cloth. These stages were carding, spinning and weaving. Most cloth was made from either wool or cotton, but other materials such as silk and flax could be used depending on the qualities of the outworker. When we mention the whole family were involved it was not uncommon to see them all in one room working on the operation like anyone would work on a business today. It was also not uncommon to see pets within the same room too! Children would help by washing as well as a system called carding (combing) the wool for their mothers to then spin the yarn. It would then be passed to their fathers who would weave the yarn into cloth using a hand-powered loom. This was commonly combined with farming with the majority of families having a small plot of land to grow vegetables and keep animals including hens, goats and cows. The working days as part of the domestic system were incredibly long and making money was difficult however the hours they worked were tailored to the families needs. Unlike when the first factories were introduced they could choose their own working hours. Although this system wasn’t as effective as factories it was less stress on the workers and the quality of life was far superior. Unfortunately this system would never last due to the growing demand. The factory system was therefore introduced and domestic textile production then became too expensive. The factories could operate with smaller costs and the business would inevitably fall on the shoulders of those who own the factories. The quantities couldn’t be met by the domestic system and thus the beginning of the industrial revolution was upon us. It is ironic that industry has now gone full circle with large corporations allowing flexible working and individuals to work from home. Some companies also working on a virtual basis; reducing overheads and improving productivity.